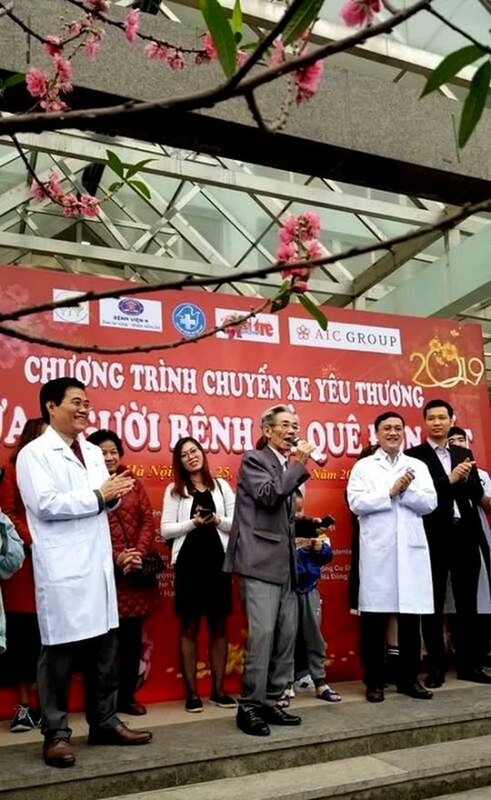 The last buses of “Chuyen xe yeu thuong” (Loving bus trips) program today departed from Tan Trieu Clinic, a satellite clinic of Hanoi-based Cancer Hospital, to transport over 700 patients and their relatives back to their hometowns for Tet holiday celebration. 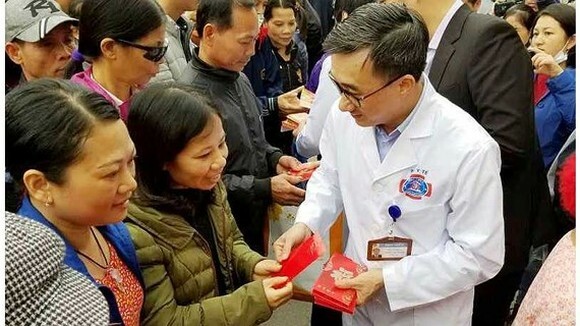 Loving bus trips is the program jointly organized by the Cancer Hospital and the Fund for supporting cancer patients for brighter future, the young Physician Association and other unions to bring patients and their relatives back home on Tet holiday ( the Lunar New Year). 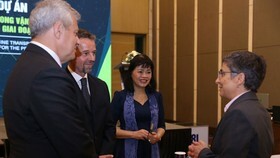 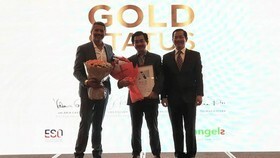 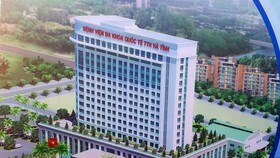 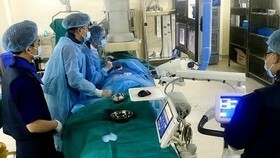 Director of the Cancer Hospital Professor Tran Van Thuan said that because of overloading in bus station in Tet holiday, patients and their relatives find it difficult to catch a bus while their health and finance condition are poor; accordingly, cancer hospital managers and related unions take heed to sharing difficulties with patients generally and cancer patients particularly. 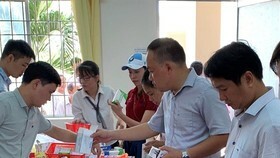 For three years, these free loving buses have departed from the hospital premise to distribute patients and relatives to different northern and central provinces including Hai Phong, Thai Binh, Nam Dinh, Phu Tho, Tuyen Quang, Thai Nguyen, Bac Kan, Hoa Binh, Son La, Lao Cai, Bac NInh, Lang Son, Thanh Hoa, Nghe An, and Ha Tinh for family reunion on the country’s special holiday. 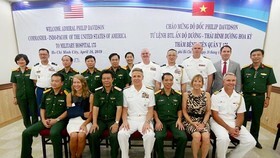 Additionally, these buses does not only carry cancer inpatients but also those from hospital 103, the National Burn Institutes, the Nation Institute of Hematology Blood Transfusion, the National Children Hospital, Bach Mai and Viet Duc hospitals. 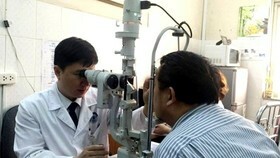 He sent thank-you to all medical workers and benefactors who have aided cancer patients like him. 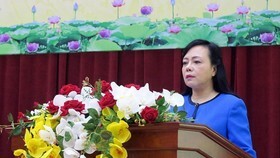 Representative of a charity organization, Ms. Thu Ha, expressed her happiness because her organization has helped cancer patients to return home on Tet holiday.